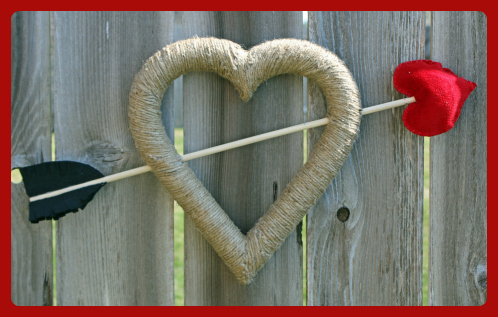 Happy almost Valentine's Day friends!! I finally got all of my Valentine's decorations up at the beginning of the week and I decided I needed another wreath to fill a spot on one of my walls. 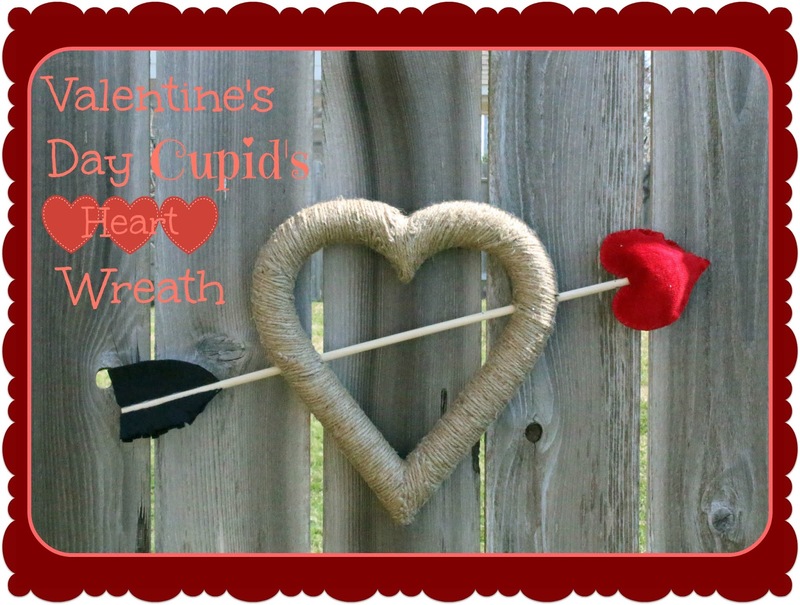 I made a fun Valentine's ribbon wrapped wreath last year, but you can never have enough wreaths hanging around, am I right? 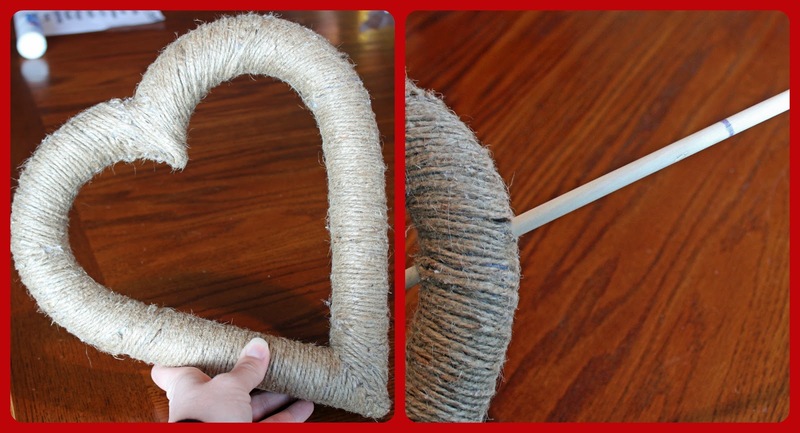 I had seen a cute Cupid's arrow and heart style wreath at JoAnn's about a month ago and decided that instead of paying the $29.99 they wanted for it, I could make my own for a heck of a lot less. And I'm so happy I did. 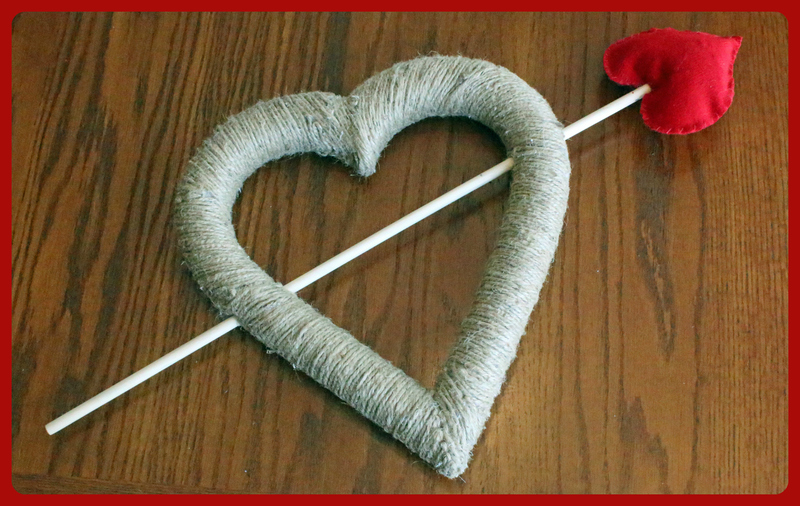 It is so cute and the perfect addition to my Valentine's decor. 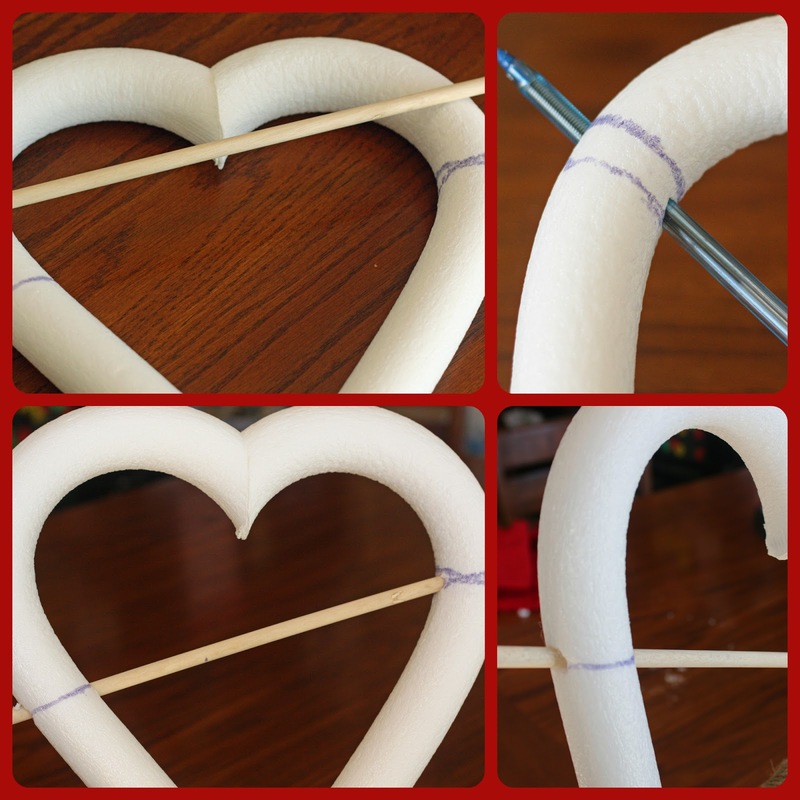 To get started, I figured out where I wanted my dowel to go through my foam heart, and marked it with a pen. Then using that same pen, I made holes in each side of the heart. 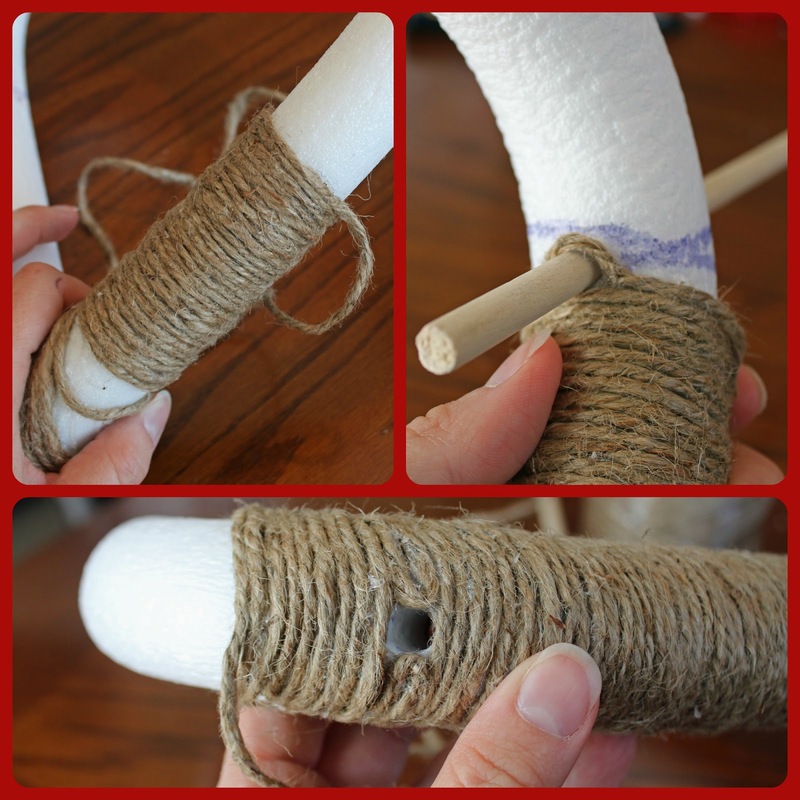 Once my whole heart was wrapped, I placed my dowel and measured and marked how long it needed to be. Then I got my hubs to cut it for me. Next it was time to make my heart shaped arrow head. 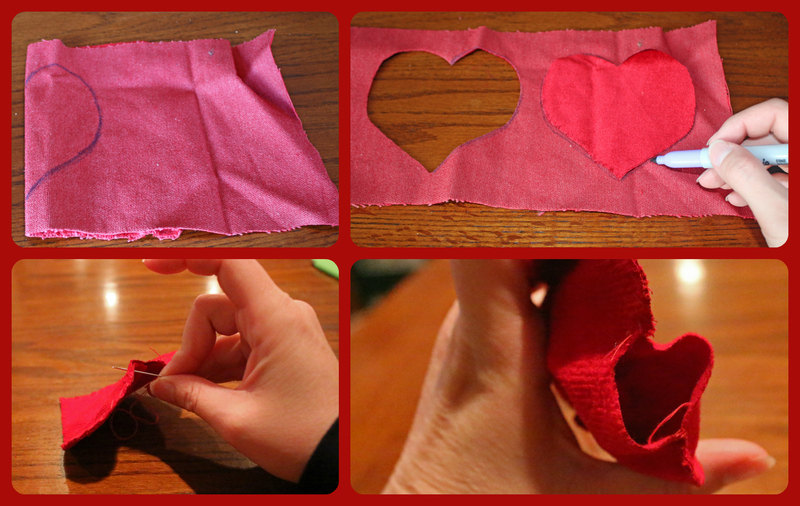 First, I cut out two identical hearts from my fabric. 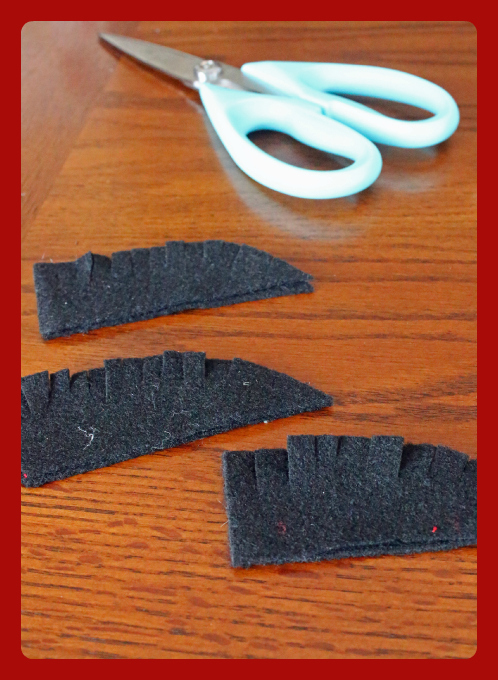 I then hand stitched them together, leaving a big enough hole to put the fiberfill in. 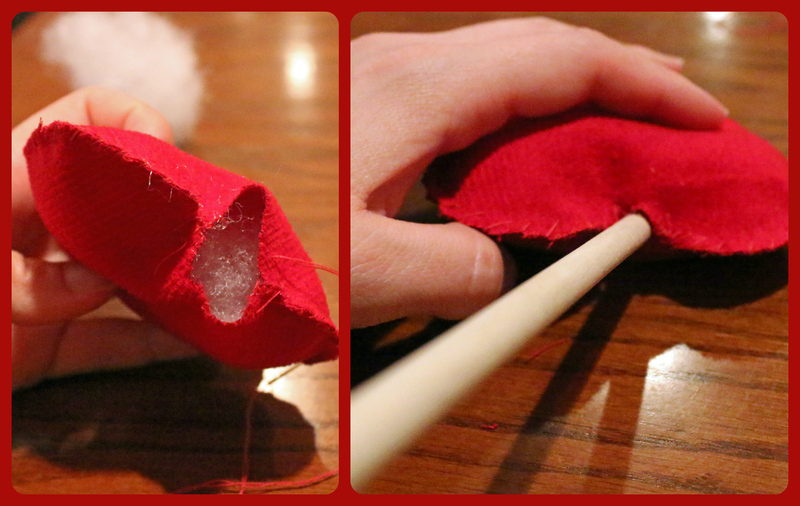 After my heart was stuffed, I stitched the heart up a bit more leaving a hole just big enough to fit the dowel. 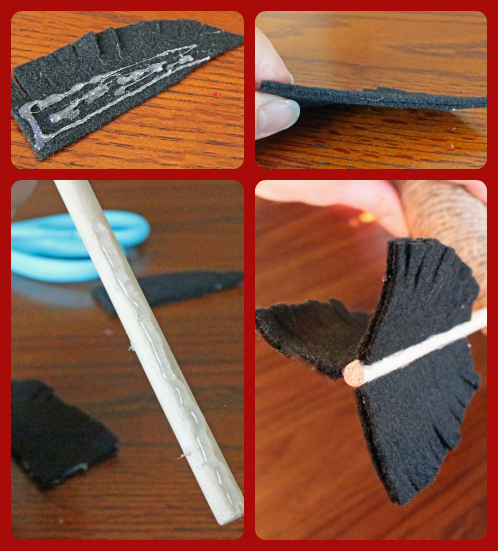 The last step was to make and place my arrow feathers. 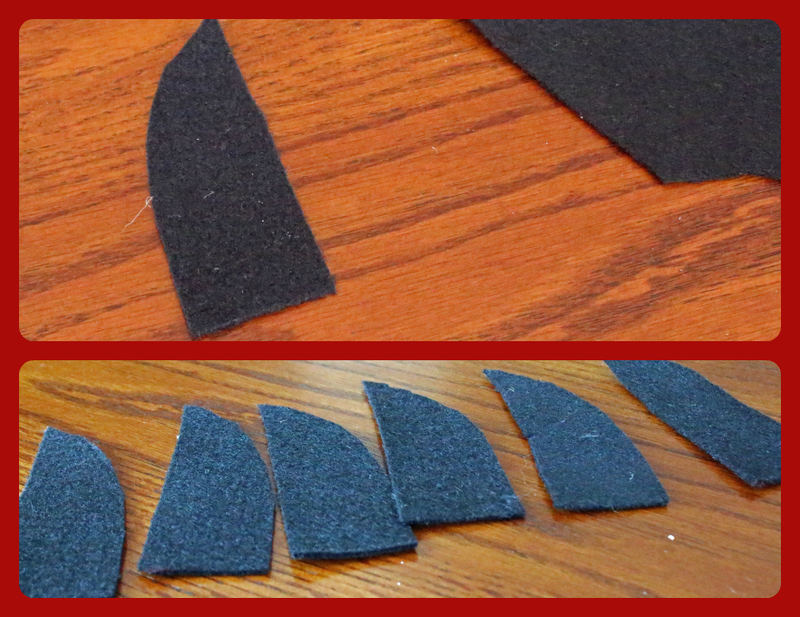 I just drew up a template and cut out six feathers. I then cut fringe in the top of each feather. I wanted the feathers to be stiff enough that they didn't flop over so I glued two together, leaving me with three feathers. 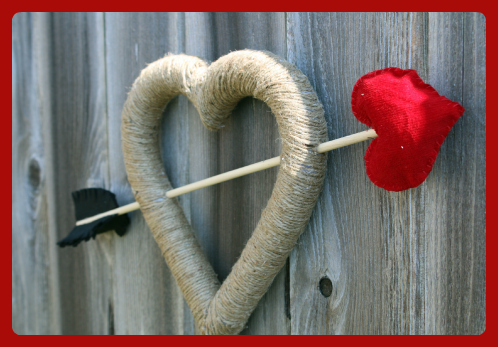 I then glued them on the end of my dowel and my Cupid's Heart Wreath was complete. To hang your wreath, you could either tie a ribbon around the top of the heart, or punch a hole in the back of the heart. I chose to make a hole in the back of the heart as I wanted it to just 'be' on the wall instead of hang on the wall. I love how cute and simple this wreath was. I'm definitely glad I decided to make one! Thanks Monica! That would be awesome if you decided to make one. 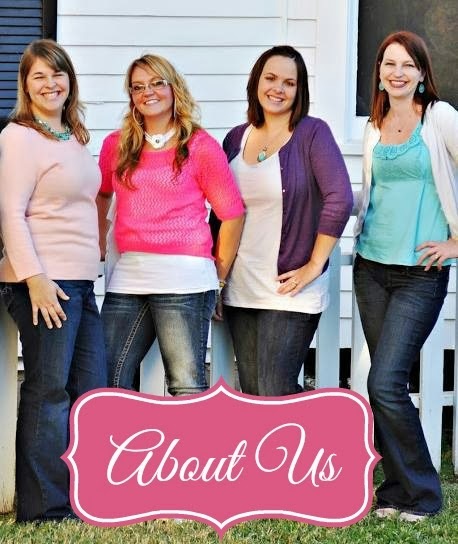 I'd love to see the finished pics too! !